Salt Lake City, Utah is known as the "Genealogy Capital of the World" because of its position as a world center for research in genealogy. As the capital of Utah, Salt Lake City is popularly known for being bordered by the famous Great Salt Lake, a lake with so much salt content that heavy items often float when they would normally sink! The city's population was estimated at around 179,894 in a 2003 census. The original campsites of Salt Lake City were formed in 1847. Among those who arrived was a well-known man named Brigham Young, who brought a group of 147 pioneers to the valley. The members of his group were part of the early Church of Jesus Christ of Latter-day Saints (also called Mormons). Plans were drawn for what then was called Great Salt Lake City, named for the vast salty lake. The city was ruled by a high council until 1848, when gold was discovered in California. Trading and supplying livestock and crops to traveling gold seekers became a way of life for the residents. Salt Lake City was incorporated as the City of Great Salt Lake in 1850. A mining industry started in 1863 when lead and silver were discovered at Bingham Canyon. Also, around this time the name was officially changed to Salt Lake City. The city grew and grew, and in the 1900s it began to take on the characteristics it has today. Many local residents worked on improving the city and making it beautiful during the early 1900s. As the population grew, so did the industries. Today, Salt Lake City is a popular tourist attraction and an unique place to live. The 2002 Olympic Winter Games were hosted there as well. Nearby cities include North Salt Lake, Woods Cross, Bountiful, Centerville, Riverton and Kaysville. A center for shopping, dining and entertainment in Salt Lake City is the Gateway (http://www.shopthegateway.com/). The Gateway resembles a small village of shops, sidewalks with lamp posts, and even accompanying residential buildings. Concerts, festivals and educational presentations are held here. Those touring the city will enjoy the historic downtown area where Salt Lake City's history comes to life in almost every building. There are 58 historic buildings, each with a story to tell. The Utah Museum of Fine Arts is a great place for art lovers to visit during their stay. One of the most popular buildings in Salt Lake City is Temple Square, a stunning six-spired temple that is the heart of Mormon religion. The Joseph Smith Memorial Building is another renowned site. Inside are two restaurants, a movie theater and several banquet halls. Tourists also flock to see the Great Salt Lake, a 20,000 square-mile lake and wildlife refuge where millions of birds migrate each year. It is the second saltiest lake in the world. For the family, a fun place to visit in Salt Lake City is Utah's Hogle Zoo (http://hoglezoo.org/). The zoo has many animals from Africa, Europe, Asia, North and South America. These include the cheetah, African lion, elephant, giraffe, Siberian tiger and more! 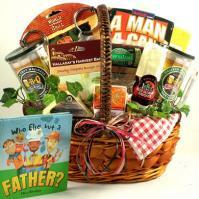 Send Gift Baskets To Salt Lake City, Utah. Whatever the gift-giving occasion, you'll find an endless array of beautifully designed gift baskets, gifts, presents, gift ideas and perfect gift solutions for your co-workers, friends, family, yourself and those you love. Buy gift boxes, care packages, surprise gifts, roses, plants, bouquets and all occasion presents including gift baskets, gifts, flowers, fruit and presents for friends and family in Salt Lake City, UT. Shop Adorable Gift Baskets online for holiday gifts, birthdays, get well, thank you and new baby gifts.